Have you ever had a party with a signature cocktail? I haven’t until a few weeks ago when we hosted some friends over Memorial Day weekend. We had family visiting and my stepmom and myself decided to make a special drink to serve using the overflowing watermelon supply we had in the fridge! 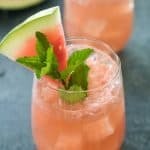 We came up with this delicious, refreshing Watermelon Cucumber Mint Cocktail and it’s definitely a winner! This cocktail is a little more labor-intensive than my usual recipes but it’s worth the extra work! You will need a little time to prepare the watermelon and cucumber puree but it can be done ahead of time and made in large batches so it won’t get in the way of entertaining! To prepare the watermelon puree: Cut half a medium watermelon into 1″ chunks. Combine watermelon with about 12 fresh mint leaves in a food processor. Pulse until smooth and strain through a fine sieve or cheesecloth. To prepare the cucumber puree: peel and slice an English cucumber and pulse in a food processor until smooth. Strain through a fine sieve or cheesecloth. These purees can be made ahead of time and kept in the refrigerator until you’re ready to prepare your cocktail. Now, who’s ready for a drink? 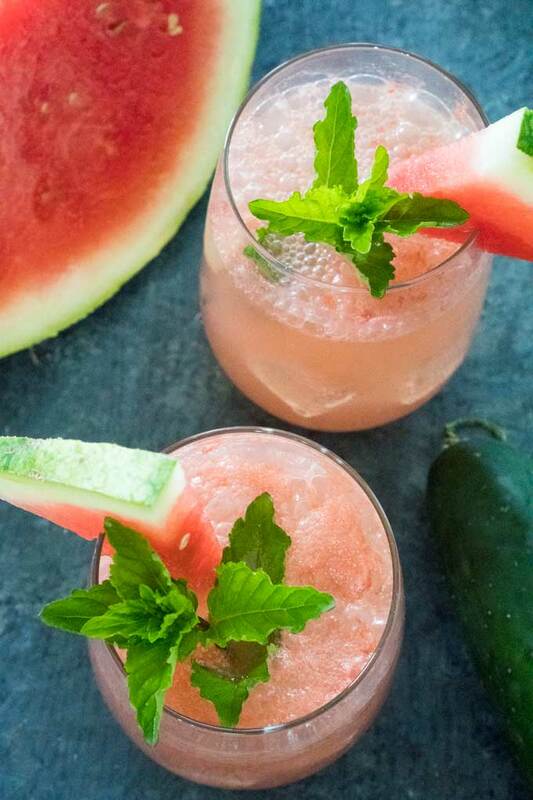 This refreshing Watermelon Cucumber Mint Cocktail is bound to be your summer party favorite. Prepare ingredients ahead of time for easy entertaining. Combine all ingredients in an ice-filled glass and stir. Garnish with watermelon slice and mint if desired. To prepare the watermelon puree: Cut half a medium watermelon into 1″ chunks. Combine watermelon with about 12 fresh mint leaves in a food processor. Pulse until smooth and strain through a fine sieve or cheesecloth. To prepare the cucumber puree: peel and slice an English cucumber and pulse in a food processor until smooth. Strain through a fine sieve or cheesecloth. 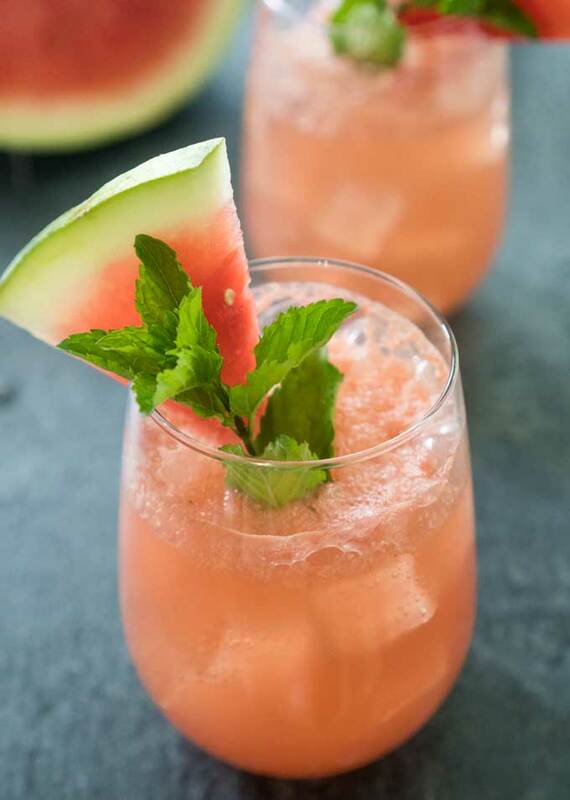 This cocktail can be made in large batches as long as you follow the ratio: 1 part vodka, 1 part cucumber puree, 2 parts watermelon puree and 2 parts soda water.